Aviation, like most industries, is grappling with rapid technological advancements, huge demographic shifts, and ever-changing customer attitudes, expectations, and preferences. Even in good times, the airline industry is a tough business and current trends point to several strategic tools airline brands can use to secure loyalty, drive market share and, ultimately, boost their profit. To get a competitive advantage airlines have to be innovative in a way that enhances the customer experience. The airline that makes the most use of innovations and allows the customer to connect these attributes with their brand will ultimately edge forward. There are so many ways to enhance the passenger experience – both in the air, and on the ground. Many are focused on technological advancements such as: universal WiFi, in-flight social networks, in-flight wearables, mood spaces, airport beacons, automated transport hubs, smart-luggage, virtual reality trials, and of course in-flight entertainment. Within the world of in-flight entertainment, app-based streaming is a big contender in taking a passenger’s day-to-day habit of consuming media on multiple devices on board. Of course, being able to join the passenger’s day-to-day habits with their journey will only enhance this customer experience. Connecting the pre-flight, flight, and post-flight journey through far more personal and curated experiences for travelers can only be a good thing. In-Air WiFi Isn’t The Perfect Answer yet…. The ability to offer a connected world on-board through WiFi solutions is becoming more prevalent. But do the current on-board WiFi solutions address the passengers need and expectations at the moment? The business model for true WiFi appears to be some way off, with the solutions having limited bandwidth capabilities and proving extremely expensive to install, manage, and maintain. Of course the passenger will want connectivity, but not if it’s a poor experience. This does more damage to an airline’s brand than good. Other on-board solutions all operate within an isolated world, where there is limited data collection, no customer identification, no tracking of viewing behavior, restricted content offer, and no handshakes with the outside world. The time of install and cost can also render these solutions out of date before they even reach the customer. 1. Cost – if your airline has rigid margins to maintain it’s essential to choose new solutions that lower costs, not increase them. BYOD solutions are much more affordable than traditional seat-back entertainment systems. FiveThirtyEight estimate that these systems add $39.7 million in fuel costs annually, not to mention the installation and maintenance required. 2. Weight – the biggest cost is the cost of fuel, and anything that contributes to increasing the weight impacts the bottom-line. 3. Time to market – A BYOD solution is quick to implement and extremely dynamic, allowing airlines to get ahead of the competition. 4. Capitalizing on consumer behavior – Passengers are already bringing their personal devices on board, and these devices are intrinsically linked to their daily habits. Why not make entertainment and content available in a hassle-free way to allow passengers to do in the air, what they are already doing on the ground? 5. Data – Gather valuable passenger intelligence with an integrated approach providing entertainment on-board but also crossover to the pre- and post-flight experiences for the passenger, allowing the airline to ‘own’ more than their journey. What Should You Look For in A BYOD Offering? Some offerings of BYOD do little to set the airlines apart as it usually comes across as a third party offering. The entertainment offering is limited as the major studios have been adamant about not offering their early release movies and shows for streaming without the required digital rights management approval. While more passengers are bringing devices on board, it’s not possible to support all device models, much less offer service to the entire cabin. There are solutions that are beginning to address some of these on-board needs called Hybrid wireless solutions. Utilising tablet hardware, these systems can both stream content from servers on-board as well as allow for pre-download of content. However, as the quality of video improves to HD, the consumer’s expectations increase. A big concern for these solutions will be the streaming of large files across a congested wireless space inside the cabin. How much these solutions support the notion of the connected passenger throughout their journey is arguable right now. Are they really being innovative, or, just replacing old offerings of entertaining the passenger on board? Many of them don’t make use of existing airline data, record usage data or work outside of the cabin for the journey? You might be thinking that BYOD is only relevant for airlines who don’t currently have an existing IFE solution, but that isn’t the case. 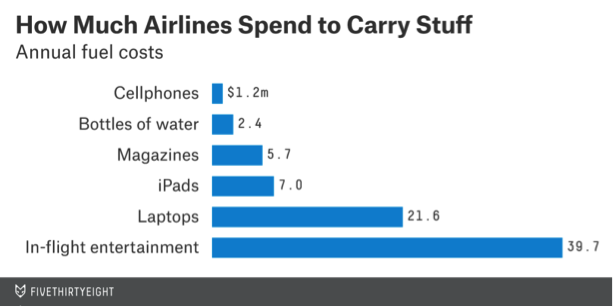 In fact, BYOD also offers a huge opportunity for traditional air carriers. Even if they already have in-seat IFE systems installed, a supplemental BYOD system creates a chance to own the passenger outside of the aircraft and perhaps the biggest opportunity lies in the wealth of untapped customer data available. Unlike other businesses involved in the Internet, the airline industry is uniquely placed. As opposed to companies seeking to harvest as much information from the customer and create preferential or tailored solutions based on behavioral patterns, the airline already sits on a mountain of customer data, from your name, your age, destination, who you’re traveling with, your history of travel, food preference...the list goes on. The marrying of BYOD solutions with pre-existing data to create a seamless branded journey is what will create real value for the passenger, thereby driving up perceived value of the airline and setting them light years ahead of the competition. Get the skinny on why WiFi doesn’t matter, how to balance the cost/weight ratio, and how to acquire the right content for your service in our upcoming webinar. 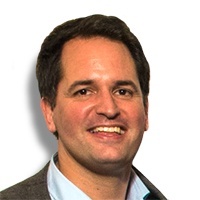 Greig Hilton is Piksel’s former SVP Business Development, driven to help the travel industry transform their passenger experience with new entertainment solutions.